2 YRS Zigong Sun Trade Co., Ltd.
Our products sold well to worldwide, has been build a long term relationship with our customers from Italy, Portugal, German, Turkey, USA, Mexico, India, Australia, South Africa etc . Monthly capacity of 15Ton We have sophisticated equipment, such as Sintering Furnace, Automatic suppress Machine, Manual Hydraulic Suppress Machine, Ball Mill Machine, Drying Machine, Mixing Machine ect, Our production capacity up to 15Ton per month. Packaging & Shipping Shipping We normally will dispatch your order within 2-10 working days depends on stock level, as soon as the order is shipped, we will list the tracking number on your order detail page, if there is any problem regarding to the shipping, please feel free to contact us. 4&gt; Process metal mould chambers of all kinds of shapes, and production efficiency is ten times better than common manual tools. We will provide the replacements to you at our cost according to actual conditions. If you're a volume buyer and would like to visit our in-house products and production line, please contact us to make an appointment. After-sale Service Nice after-sale service will be offered and it is a good tradition in our factory. 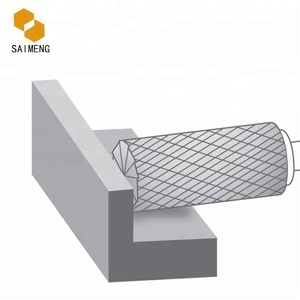 &clubs;Short Lead Time Being efficient:3-7 days for samples and 10-35 days for quantity orders. &clubs;Flexibility Small orders are acceptable for quick delivery and to help you reduce stock cost. 2. Removing the burrs of the castings,forgings and the welding spatter on the weld assemblies. 3 . 1. If we have these items in stock, we can send the goods as soon as receiving your payment. 3. About the formal order, it will depend on the order condition, usually, it will take 30-40 days before shipping. 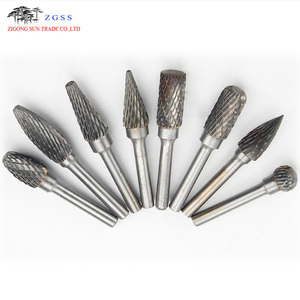 Suitable for wood carving, root carving, olive pits, sharp blade, durable. or it is 15-20 days if the goods are not in stock, it is according to quantity. Q: What is your terms of payment 9 A: Payment&lt;=1000USD, 100% in advance. 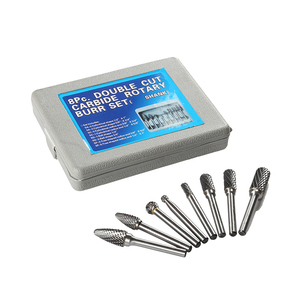 Tungsten Carbide Burr are ideal for shaping, smoothing and material removal. 2. Removing the burrs of the castings,forgings and the welding spatter on the weld assemblies. 3 . 4) we have 20 products line now, all of our products can finished with good quality on time. 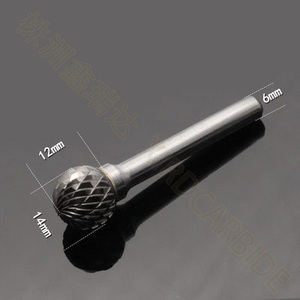 Alibaba.com offers 6,235 tungsten carbide burrs products. About 41% of these are tool parts, 8% are files, and 4% are cemented carbide. 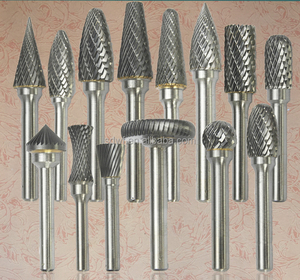 A wide variety of tungsten carbide burrs options are available to you, such as power tool parts, hand tool parts. You can also choose from free samples, paid samples. There are 6,235 tungsten carbide burrs suppliers, mainly located in Asia. 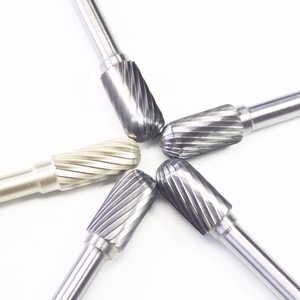 The top supplying country is China (Mainland), which supply 100% of tungsten carbide burrs respectively. 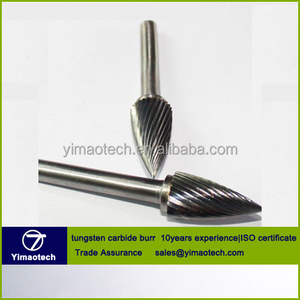 Tungsten carbide burrs products are most popular in North America, Domestic Market, and South America. You can ensure product safety by selecting from certified suppliers, including 1,946 with ISO9001, 1,200 with Other, and 25 with ISO14001 certification.